This book celebrates the changes and milestones of growing up. As something ends for the children throughout the book, something new begins. There is an encouraging message to embrace all the new and different opportunities that life brings. I thank Unleashing Readers and the publisher for the giveaway opportunity through which I won a copy of this book. 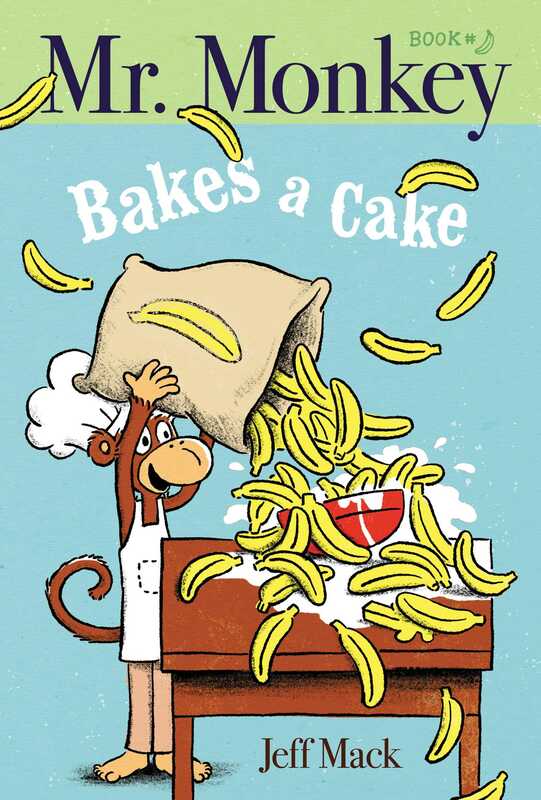 Mr Monkey bakes a cake, but because he has eaten too many bananas while doing so, he decides to bring it to a cake contest. There are lots of funny near-mishaps along the way and an encounter with an unfriendly gorilla. Readers will root for Mr. Monkey as he tries to get his cake to its destination in one piece. I am always on the lookout for beginning reader series that will amuse my students as the Mo Willems's Elephant and Piggie Books do. I think the Mr. Monkey series will be enjoyed just as much. This book has short, repetitive text, charming characters, and lots of humor. 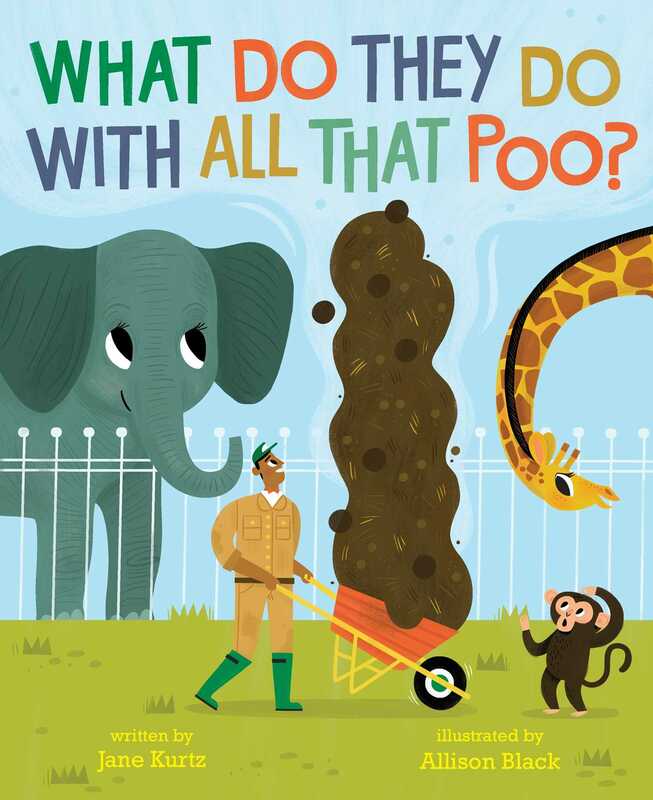 There are more facts about zoo animals' poo in this book than you ever wanted to know! Students are going to be fascinated with the information they'll learn from the book. It features different zoo animals, telling interesting facts about their poop. It also gives information about what zoos do with the immense amount of animal waste that piles up at the zoo. When I bring this book to school in the fall, I imagine that it is not going to stay on the shelf very long. This is another book I was lucky to win a copy of, thanks to Word Spelunking and the publisher. Mr. Puffball desires fame and fortune, but he knows his friends are what matter the most. 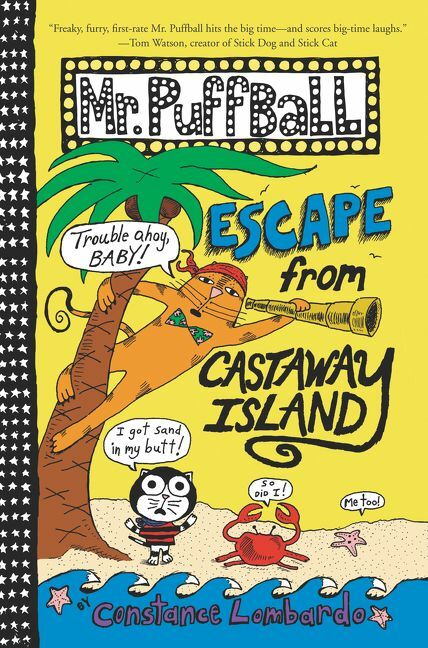 In the third book in this series, Mr. Puffball is starring in a reality show, Celebrity Castaway Island, along with his feline friends, some who seem more like frenemies. As Mr. Puffball tries not to get voted off the island there is lots of adventure, mishaps, and humor. This is a series I'll recommend to readers who enjoy illustrated novels and fun stories that make them laugh. Thanks to the author, Constance Lombardo, for sending my book review group, #BookExcursion, a copy of the book to review. This true story tells about Welles Crowther, a hero of September 11, 2001. Like any account of 9/11 this is a heart-wrenching story, but it is also inspiring and hopeful. The book portrays the self-sacrifice and courage that Welles exhibited that day and offers a reminder that heroes live among us. This is an informative account of 9/11, which will give young readers insight into what occurred, but it will also be useful to spark discussions about the fact that we can make choices to help others and make this world be a better place. 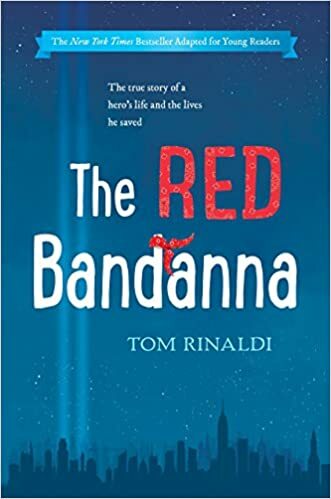 The Red Bandana has been on my TBR list for a long time. Sounds like I should move it to the top. Thanks for sharing! I've had if for a while, too, and just got to reading it. I'm glad I did because I didn't know Welles's story. Living in NYC I know many people who lost a loved one in 9/11. In school they teach a bit about 9/11, but don't go into the details of it so I feel like my son who will be 9 doesn't have a good understanding of it. Is this book appropriate for a 9 year old? I think it's probably suitable for fifth grade and up. 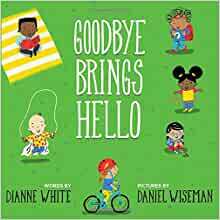 I really enjoyed Goodbye Brings Hello and will read it to students at the beginning of the school year. Mr. Puffleball looks like a fun read! Have a great week! Illustrated novels that are silly are a big hit with a group of my students so I think Mr. Puffball will be a good addition. I'm looking forward to getting What Do They Do with All That Poo? I won a copy through Unleashing Readers and just know my kids are going to have a blast reading it with me. I also really want to read The Red Bandana! Thanks for sharing! Awesome that you won a copy, too! Your kids will definitely have a blast! All of these books are new to me. I admit that the one I am most interested in reading is What Do They Do with All That Poo? by Jane Kurtz. Does that mean I haven't grown up yet? No, it doesn't mean you haven't grown up. I chuckled to myself every time I read the word "poop" and it's on every page usually more than once! Yay!! Thanks for blogging about Mr. Puffball - who is always happy to go on an excursion!!! Thanks for sending Mr. Puffball on a book excursion. Looking forward to introducing my students to the series in the fall. The facts are so interesting! Oh wow, all these books are not known to me, thank you so much for sharing. The Poo book looks like it will be a hit with younger readers. 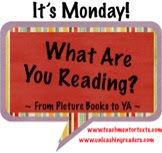 :) Have a great reading week! I think it definitely will! Enjoy your week, as well! I just ordered the Mr. Monkey series from the Brainlair Bookstore - yippee! I'm looking forward to sharing it with students in the fall! Mr. Monkey looks great and as others wrote that title's inclusion of the word poo would be enough to get kids looking. I also added Red Bandana to my list. Thanks for the post!